Happy Hippies respects the privacy of all website users and will take care of your personal information. We will use your information only to make sure your order will be treated correctly. For all other things we will always ask your permission. Happy Hippies will not sell your information to third parties, and will only make your info available to whom this may concern in order to process your order, such as sending partners. When placing an order, we need your name, email address, delivery address and payment information to process your order and keep you informed. Giving us your phone number is not required, but it can be helpful if we need any more information to correctly process your order. Also, this will help the deliverer to get in contact with you if needed when delivering your order. In order to make your visit to Happy Hippies as comfortable as possible, we save your personal information and information for placing an order. Consequently, we can personalize our website to meet your personal needs. For example, this means logging in automatically next time you visit our shop. Your shopping cart will remain as it was and you can place your order much easier and faster. The products in your wish list will also be kept. When making a Happy Hippies account, we will save your information on a Secure Server. We will save information like your name, address, phone number, email address, delivery address and payment information, so you won’t have to fill in everything again when placing a next order. Information regarding the use of our website and the feedback we get from our visitors will help us develop and improve the website. So let us know what you think of our website and place a review after purchasing! Information that is part of a complete order will be kept for 6 months. This gives you time to maybe return or trade your product(s). Also, when wearing jewellery, it unfortunately sometimes occurs that you lose your item. That is why we keep your order history for 6 months, so you will be able to replace your item and see what you bought last time. Information of inactive accounts will be saved for 12 months. Inactive accounts are account that have not logged in for the specified amount of time, and did not place any orders. The accounts will be deleted after 12 months. All orders will be replaced for guest orders. Pending orders will be saved for 30 days. These are unpaid orders that may have been abandoned by customers. They will be trashed after 30 days. Failed orders will be kept for 30 days. These are unpaid orders that may have been abandoned by customers. They will be deleted after 30 days. Cancelled orders are unpaid orders that have been cancelled by Happy Hippies or the customer. They will be deleted after 30 days. Happy Hippies will not sell your personal information and will only make the info available to those who are involved in processing your order. We, and the involved third parties, are obligated to respect the confidentiality of your personal information. In order to have our website work properly, we need functional cookies. If we do not use these, this will make the website less user friendly. For instance, Happy Hippies remembers what you put in your cart or on your wishlist. We remember logins and keep you logged in automatically. 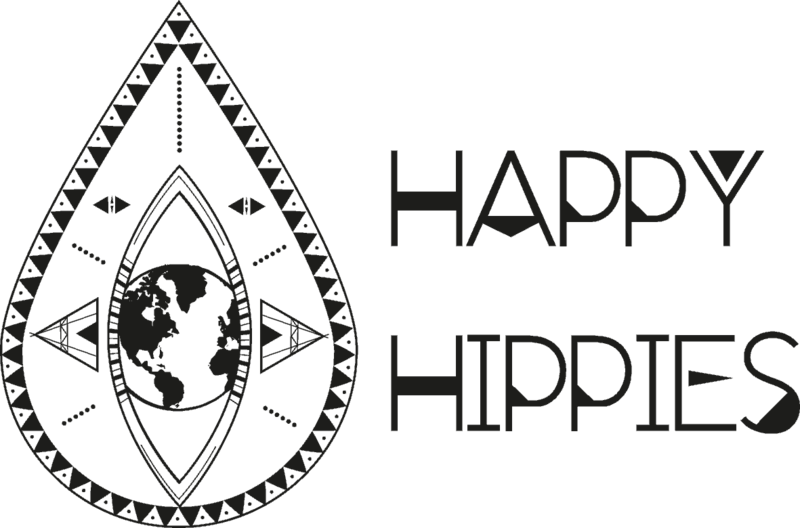 Happy Hippies uses analytical cookies that provide insight in the statistics of the behavior of the visitors on the website. We can see how many people visit the website, which pages are looked at, and the time that visitors spend on the website. Thus, we use Google Analytics-cookies, for which we have an editor-agreement with Google. We masked the last octet of your IP-addresses / made them anonymous, turned off ‘share information’, and we do not use other Google-services in combination with the Google Analytics cookies.